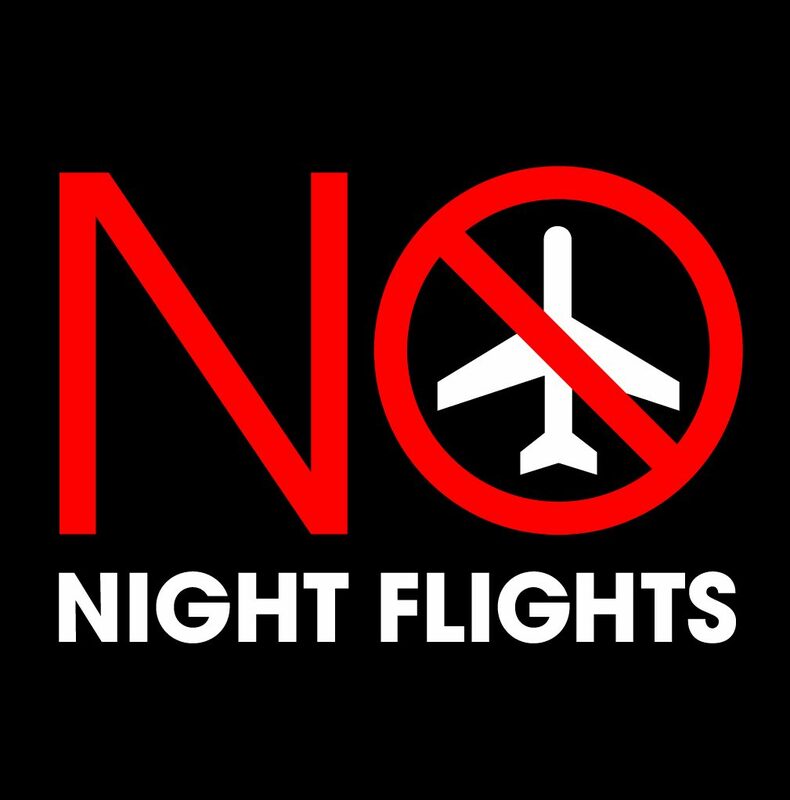 The No Night Flights group has campaigned successfully since 2009 to prevent the introduction of scheduled night flights at Manston and, with the airport’s closure in 2014, it seemed as though this threat had gone away. Sadly, this isn’t the case. The clear blue skies shown here are under even greater threat than in years gone by. Almost as soon as the airport had closed, the possibility of a Compulsory Purchase Order (COP) arose. In other words, taking the land from its owners. A support group was formed with the aim of preventing the airport’s closure. The group was started by people not even living in Thanet or under the flight path and quickly appeared to gather vast numbers of members on social media. NNF did plenty of research in to this. Many members were added to this Facebook group without their knowledge. Many members were airplane enthusiasts from around the world. Many lived nowhere near Manston or Thanet. Indeed, many of them lived nowhere near Kent. The new owners, Chris Musgrave and Trevor Cartner immediately started talking about the plans they had for the 800 acre site. Experienced in regeneration, they were certainly taken aback from the vocal, and increasingly aggressive, campaign being waged by some against them. Instead of being welcomed and courted by local politicians (as they have been in other parts of the country where they have created a new community and new jobs), they were slandered and libelled and rebuffed. They must have been more than a little surprised to be told that we are the only community in the entire country that wants an airport in our midst and planes flying low over our heads! On the scene in November 2014 was Riveroak Investment Corp LLC, an American investment company. Despite the claims of its supporters, Riveroak had no aviation experience whatsoever. Their experience is in real estate investments in the USA, not all of them successful. RiverOak wanted to be an indemnity partner for Thanet District Council (TDC) in a CPO process. TDC rightly needed proper assurances that any indemnity partner was credible, especially in terms of the finance required to get a new airport off the ground. RiverOak was found not to be credible and the process failed. The Labour administration at TDC was met with a hostile reception from the airport supporters. An election soon after saw both Conservatives and UKIP promising to ‘bring back the airport’ and offering full support to RiverOak. With a UKIP council elected, the process began again. The newly formed TDC quickly began the process again to find a credible indemnity partner. RiverOak put themselves forward again. And again, they were found wanting. Not credible. Still they came back. This time with a plan to get round TDC and to go straight to national government – to the Planning Inspectorate – to seek a DCO or Development Consent Order. This is a process to compulsorily purchase land for a nationally significant infrastructure project which RiverOak claimed Manston to be. In order to be deemed a nationally significant infrastructure project, an airport at Manston would need to be a huge airport with at least 12,000 cargo flights a year and it would need to be seen to be in the public interest. You can find out more about a DCO process here . Meanwhile, at some point during 2016, RiverOak, the American companydecided it wanted nothing to do with the idea of a new airport at Manston By December 2016, RiverOak had slipped away quietly. Finally washing their hands of the whole thing, the process was carried forward by RiverOak Strategic Partners (RSP), a newly formed company – newly formed in Belize – led by Tony Freudmann, the former MD at Manston from the Wiggins era. It was Tony Freudmann who brought inRiverOak, the American outfit, in 2014. It was Tony Fredumann who set up the new RSP company in the summer of 2016 together with two ex-employees of RiverOak. All trace of the three of them seem to have been wiped from American RiverOak’s website. Alongside this continuing saga, TDC needed to complete their local plan. A local plan outlines plans for the area including where projected housebuilding will take place. The old local plan had Manston designated for aviation use only. TDC, having failed to find an indemnity partner twice and having received independent, expert reports stating that the likelihood of success of an airport on that site being slim to nothing, felt that it could no longer continue to designate it as such. However, a local plan must be evidence-based and so a new independent report was commissioned. Aviation industry experts, Avia Solutions, conclude within their report that ‘airport operations at Manston are very unlikely to be financially viable in the longer term and almost certainly not possible in the period to 2031’. Read their report here. So, an airport is not viable. Yet still RSP continue their bid for a DCO of the site. We continue to wonder why. It is vitally important that we all understand exactly what the RSP offer is and what it is not. To even have a stab at being seen as a nationally important infrastructure project, there would need to be a minimum of 12,000 cargo flights a year. That’s a huge number. The old airport had 500. RSP says they aspire to have at least 17,000 cargo flights a year. RSP propose a 24/7 cargo hub. A dedicated cargo hub inevitably means scheduled night flights as all the major carriers like Fedex and DHL demand it. It’s how they do their business. RSP flip flop when it comes to passenger operations. They are not part of their plan, they’ve made that clear at consultations in the past but every now and then, to keep the airport supporters on board, they claim that there will be SOME passenger flights at SOME point in the future. Successive reports have made it clear, as has a 15 year failed history as a commercial airport, that Manston is simply in the wrong location to be able to attract sufficient passenger numbers to make it financially viable. SO the RSP offer is not to bring back the little airport with a few flights a day and none at night that Thanet used to have and which, frankly, did not bother the vast majority of people (until night flights were threatened). We know that when people say they want the airport back – that’s exactly what they mean – they want that old airport back. But that airport lost £3 to £4 million in every year of operation. The overall loss for its fifteen year history was over £100m of operational losses and lost investments. It’s never coming back. 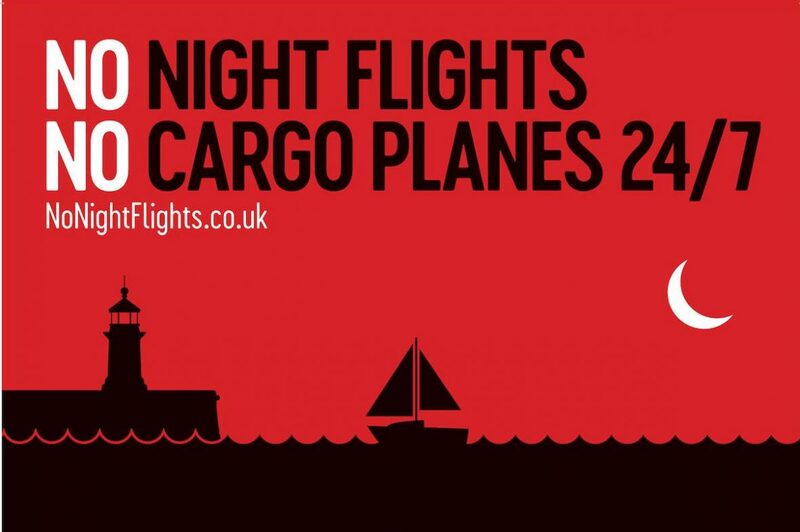 RSP are offering a dirty, noisy, polluting cargo hub that will have scheduled night flights and which will blight the health and wellbeing of local residents as well as destroy our growing local economy – particularly with regard to tourism. We urge all residents to submit their views during the RSP consultation which runs from 12th June 2017 for 6 weeks.